The information presented on this page was originally released on December 1, 2011. It may not be outdated, but please search our site for more current information. If you plan to quote or reference this information in a publication, please check with the Extension specialist or author before proceeding. 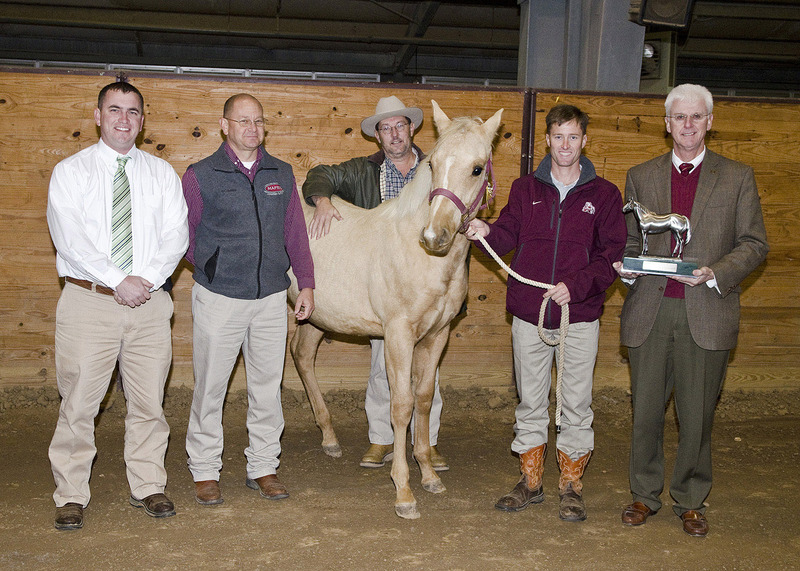 MISSISSIPPI STATE – Mississippi State University was one of 26 horse breeders from across the United States and Canada recently honored by the American Quarter Horse Association for 50 years of breeding to produce the best quarter horse traits. This year, AQHA’s honorees included 14 cumulative breeders, such as MSU, which are those who have registered at least one foal for 50 years combined. Twelve other recipients were recognized with legacy awards, which are given to those who have registered at least one foal for 50 consecutive years. Pennsylvania State University, a legacy recipient, was the only other educational program recognized this year. 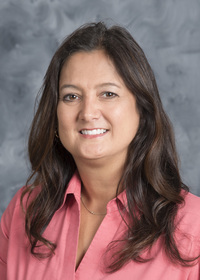 Peter Ryan, associate provost for academic affairs and associate professor of animal and dairy sciences, said university programs rarely earn this recognition. 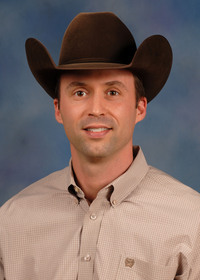 Dr. Kevin Walters, a clinical instructor at the veterinary college, received the award during ceremonies at the AQHA Hall of Fame in Amarillo, Texas. Walters said MSU’s program considers pedigrees and genetic strengths and weaknesses of each horse when breeding. Many of the horses at MSU’s Equine Unit are descendants of cutting-horse champions and other speed-event or western performance champions. “In addition to university-owned stallions, we benefit from stud services that are donated by supporters of the university,” he said. Stallion services are available to the public wanting to breed mares to proven studs. Contact the Morgan Freeman Equine Reproduction Research Unit for stud fees and stallion information by calling (662) 325-0038. The recognition is the second major national award this year for MSU’s animal and dairy science programs. The American Jersey Cattle Association ranked the MSU dairy herd at No. 7 in milk production for 2010. The only university-owned herd to make the top rankings, the dairy herd has been ranked in the top 10 for the last four years.